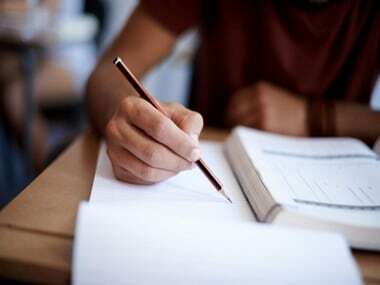 Ahmedabad: The Gujarat school examination board has failed 670 students who appeared for Class 10 exams in March, after finding large scale discrepancy in marks obtained in objective and descriptive questions. While these students were found to have obtained over 80 percent marks in objective type questions — or 40 and above out of 50 — their marks in descriptive type questions in the same subjects were less than 5 out of 50. 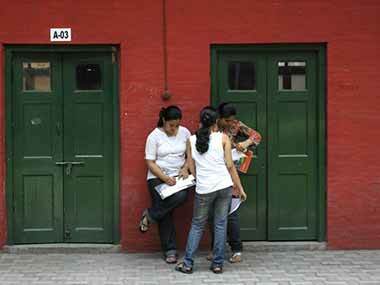 This prompted the Gujarat Secondary and Higher Secondary Examination Board (GSHSEB) to call them for a hearing. These 670 students were found to be lacking in basic knowledge in their subjects in which they got high marks in objective type questions, following which the GSHSEB failed them in those subjects. 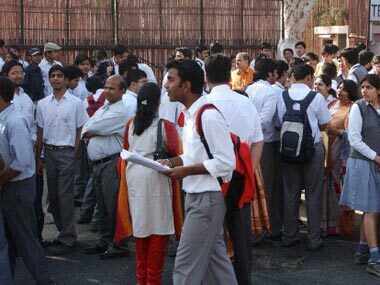 A senior GSHSEB official said while the board did not find any instance of cheating or mass copying in CCTV footage from exam centres where these students appeared, they feared that someone might have orally dictated Optical Mark Recognition (OMR) answers to these students which could not be caught on CCTV camera. "As many as 670 students obtained more than 80 per cent marks in objective type questions (OMR format), but scored less than 4-5 marks out of 50 in descriptive type questions. This helped them obtain passing marks in the subject, but we have decided to fail them," said GSHSEB officer on special duty MM Pathan. The students who have failed in two subjects will be given a chance to appear in examination conducted in July, while those who have failed in more than two subjects can only appear next year, he said. Similar cases were found even last year and most of the students came from Dahod, Mahisagar and Tapi districts.